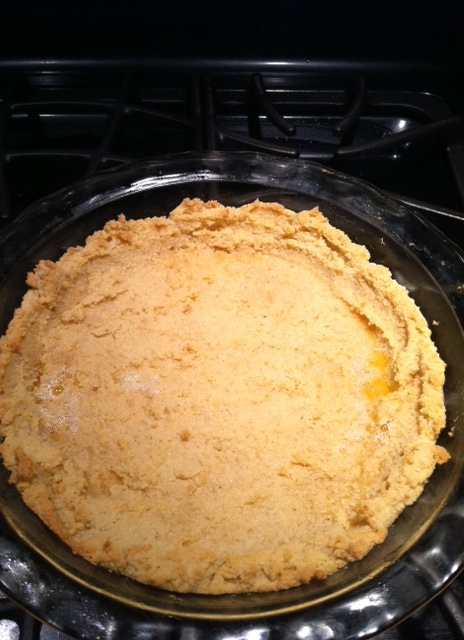 Yesterday, I was strongly recommended by my sister to post a pie recipe since today is Pi day! 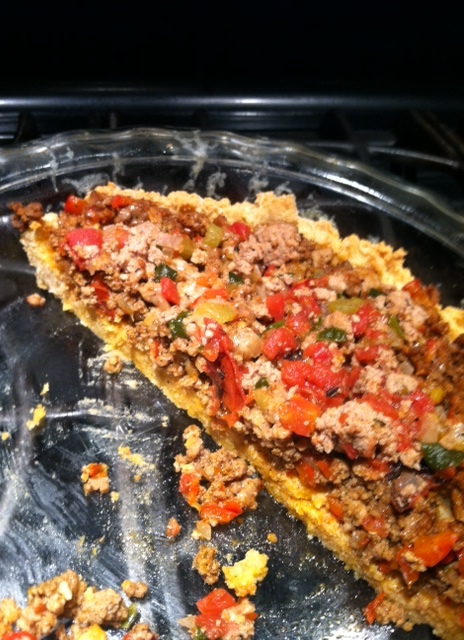 So, last night I did some quick googling “Paleo Pie” and found a ton of recipes for something called Taco Pie. As a kid, tacos were truly my favorite food (I literally had tacos and pumpkin pie for the majority of my birthday dinners), but since turning Paleo, I haven’t really been indulging in Mexican foods as much (although Taco salads and Lettuce wraps are great options!) I am so happy to report that this recipe turned out really well. The flavors are spot on and the crust tastes amazingly similar to a corn sope. As a bonus, this is a pretty quick recipe to throw together, it’s very flexible according to taste preferences and all of the ingredients are likely to already be in your pantry. Enjoy the rest of Pi day! 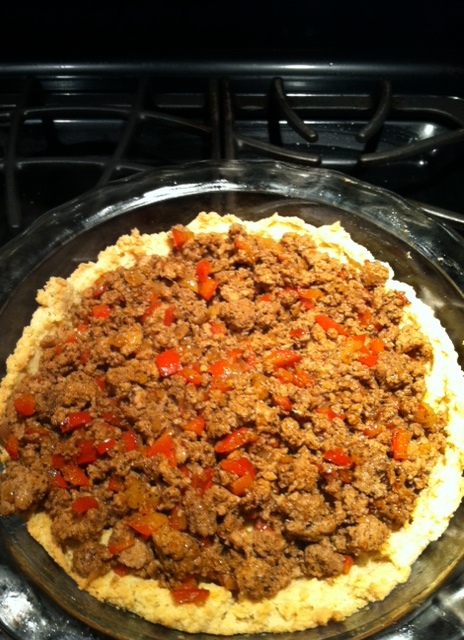 Although a little too buttery, I found this crust very flavorful and will definitely use this recipe again with the change listed! **I meant to add died zucchini to the onion and red pepper mixture, but forgot…I think this would be a great addition, or perhaps some other veg? We made this on Sunday! It was really good! 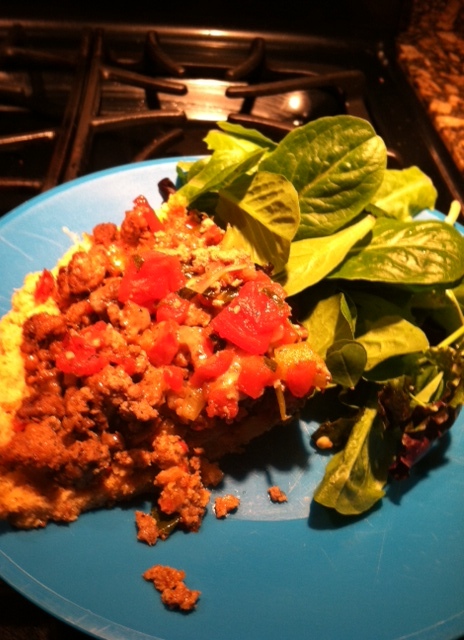 I was surprised at how good the crust was; overall, a great hit!